The big game is less than a week away. If you’re hosting a Super Bowl party, you’ll need full access to your kitchen without worrying about a clogged kitchen sink. Local Newbury Park plumbers get called for emergency plumbing service all the time during events like these because people forget that their plumbing systems are not designed to handle an influx of food waste. If you don’t want your Super Bowl menu to get sidelined, follow these tips to avoid clogged drain repair. Kitchen sinks clog when too much food waste is shoved into the garbage disposal. During events where you’re cooking for the masses, run the garbage disposal more often with less food waste. This simple adjustment will keep your drains from clogging and prevent your garbage disposal from burning out. We get it. When you’re busy cooking for a crowd, common kitchen sense can take a back seat. You’re in a hurry and you want to move from one “food play” to the next, but you have to be strategic. Dumping cooking grease, oils, and fatty substances into your sink is not going to end well. While you may be able to get away with this on a regular day, if you’re cooking more food than usual, problems are going to occur. Don’t take this risk. Have you noticed your kitchen sink is draining slowly? Call a drain cleaning plumber to clear the clog before the guests arrive. A slow-flow drain a warning sign that the water pipe isn’t clear. You’re already betting on the game. Do you really want to gamble on whether the drain will clog? We promise you that fixing a clogged drain and any water damage that occurs is going to be costlier than losing a Super Bowl bet with your Uncle Jim. If something does happen while you’re hosting your party, don’t panic. Call My Newbury Park Plumber Hero for swift, effective, and affordable emergency clogged drain repair. Our licensed plumbers can be to your home in 90 minutes or less – that’s less time than pizza delivery! Let us worry about your clogged drains. You worry about enjoying the game with your family and friends. Unexpected plumbing emergencies are never welcome. Yet, every day we answer phone calls from desperate, panicked homeowners who need emergency drain service in Newbury Park. Sometimes drainage issues just happen; old pipes break, earthquakes lead to failure. Other times, though, the drainage problem could have been avoided with a little bit of knowledge and some TLC. As the leading drain cleaning company in Newbury Park, we know a thing or two about preventing clogged drains and dirty sewer lines. Here are some of our expert tips to help you keep the 24 hour plumber away from your home. Nothing keeps a plumbing system in better condition than annual hydro jet drain cleaning services. As part of a preventive maintenance package, professional drain cleaning scours away buildup that has formed on the inside walls of your home’s piping system. If left alone, this buildup will continue to collect waste and other substances as they pass through the pipes. After a while, a clog forms and that’s when the trouble begins. Annual drain cleaning isn’t as expensive as you may think. In fact, it’s the most affordable option. Once you have to call for emergency drain cleaning and plumbing repairs that’s when the costs start to add up. Toilets and sinks are used every day. It’s natural for some buildup to occur due to waste, soap scum, hair, and toothpaste. The situation can get out of hand quickly, though, when homeowners start flushing feminine hygiene products, wipes, and other non-soluble materials. Pouring cooking fat, butter, and grease down kitchen sink drains is another no-no. The more careful you are about what you’re flushing or rinsing, the more likely it is that you won’t need emergency plumbing repair service. Call a Drain Cleaning Plumber Sooner! Slow-flowing drains are a big indication that you have a clog that needs your attention. Calling a Newbury Park plumber at the first sign of a problem, will prevent complete stoppages. At My Newbury Park Plumber Hero, we offer same-day, emergency drain cleaning service in Newbury Park at reasonable prices for all types of homes – single family and multi-unit. Call today to learn more! Have You Been Ignoring Warning Signs that You Sewer Line Repair? Sometimes homeowners ignore small signs that their sewer lines need repair or replacement. Grease and food particles may clog your drains and sewer lines. A blocked toilet and slow drainage could be signs of a sewer line problem. The staff at My Newbury Park Plumber Hero knows the signs of sewer lines problems. They can help you repair your sewer line before it causes significant damage to your plumbing system, home, and the environment. Some of the most obvious signs of a problem are backups from multiple plumbing fixtures. Although the toilet may be most affected by this problem, other fixtures may also be involved. Check other fixtures in your home to determine if your sewer line is clogged. 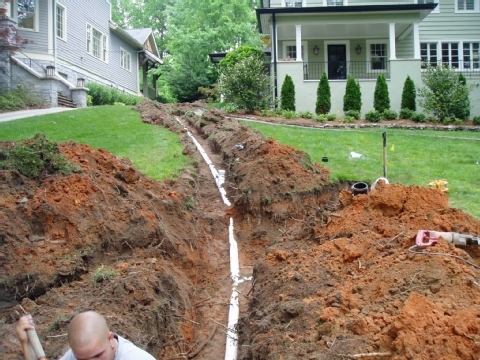 Sewer line problems may cause your fixtures to work in unexpected ways. This may be most noticeable in how the toilet works. Toilets often have the biggest drainpipes and most direct path to the sewer. This means that you can easily determine problems with your sewer lines by how the toilet works. It is almost impossible to have a sewer line problem and a properly functioning toilet. The line is definitely clogged if you notice sewer backup when you flush the toilet. Other drains that may be affected by a defunct sewer line are the tub and shower drains. A sewer line clog would most likely cause backup of wastewater from the shower and tub drains. Determine if your plumbing system has trapped air. This can be done by running water in the sink near the toilet for a minute or so. If you notice bubbles coming from the toilet or if the water level in the toilet rises, then your sewer line may be clogged. At My Newbury Park Plumber Hero, we help our clients determine the cause of sewer line problems and provide the most effective solutions for the problems. Contact us today to learn more about our plumbing services. 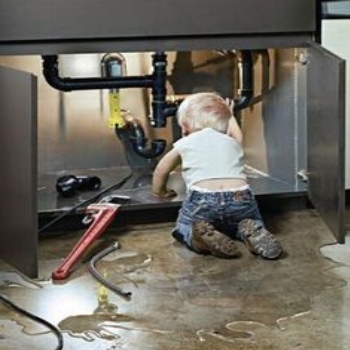 My Newbury Park Plumber Hero is a plumbing referral service provider that works in partnership with established, licensed, & highly rated plumbers based in Newbury Park, Ca. We reserve the right to refer any service call to a qualified Newbury Park plumbing partner.